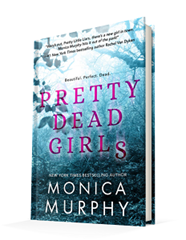 Published January 2, 2018 by Entangled Teen, Pretty Dead Girls is a YA thriller that is both fast-paced and tension driven. 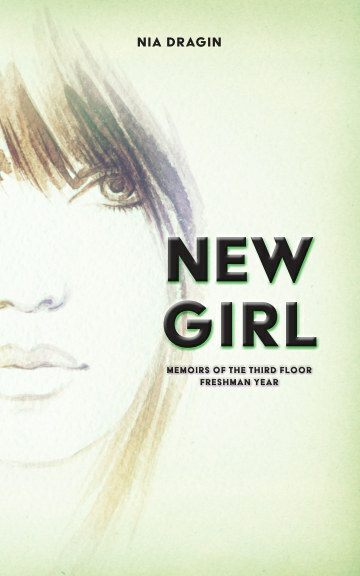 Mean Girls meets Pretty Little Liars in a well-executed young adult mystery about pretty, high school academics who are getting killed off one by one. The novel does a fantastic job of setting up tension and mystery as it begins the novel with two characters in a car, leading to an argument and then the death of one character leading to an upscale investigation in a wealthy suburban area where anyone can be a suspect or the next victim. To make the novel work and build up the suspense the author carefully made sure that there were no details revealed by any of the characters before they meet their untimely demise. It is skillfully written, creating tension, mystery, and intrigue by delving into the mind of the killer. By splitting up the story between perspectives, from the main protagonist who has taken it upon herself to try to figure out who is killing her friends, keeps the pace of the novel moving like a bullet. The speed with which the events take place, moving effortlessly from scene to scene do not lose the reader. Details do not get lost in the novel that would possibly distract the reader, but the novel is wonderfully constructed that the reader cannot get lost. The plot and the mystery draw the reader into the story. The story is well written, going between perspectives and building the story with intrigue, suspense, and tension, leading to a breathless and thrilling ending. However, probably the most compelling piece of the novel is not actually about the novel. Perse. In many cases, poorly written characters can deter the reader, even well-written characters with sour dispositions can deter a reader. However, that is not the case here. These are not the type of nasty characters that a reader would love or even that villain everyone loves to hate or loves more than the hero; these are obnoxious self-entitled pretty girls. Nevertheless, they are realistic. These are girls with insecurities, drug problems, and varying forms of mental illness, hidden behind good looks and good grades. They are not the most delightful characters, with Penelope being the exception, but they are well-rounded enough to keep the reader entertained. The qualities that define them exist in the smallest of ways, but in the way the killer reveals these tiniest details about his victims, the writer makes these characters human. These qualities also help to give the villain in the novel their motivation, giving the reader a clear understanding of what has made this character snap. It is a fast-paced novel that is hard to put down. The sequence of events moves quickly, giving the plot a well-rounded air and also giving the characters time to shine. There isn’t much growth in the novel, but there’s enough personality in it to make the reader engrossed in the mystery. Engrossed in Penelope’s quest to find out who is killing her friends. All in all, an excellent read.